In 1948, Doris Day wasn't yet a star. At age 23, she had found success with the Les Brown Band thanks to her hit recording of "Sentimental Journey" and she became a regular on Bob Hope's radio show. Oddly enough, though, her career was also coming to a stall. She had divorced her violent first husband Al Jorden in 1943 and she would be divorced from her second husband, George Weidler, by 1949. Day was ready to give up and leave Los Angeles when her agent Al Levy persuaded her to go to a party at composer Jule Styne's house. 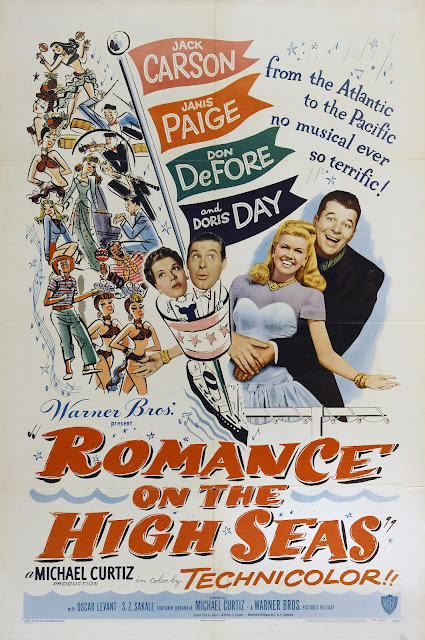 Styne and his partner Sammy Cahn loved Day's voice and urged her to audition for the movie they were working on: Romance on the High Seas.